When choosing a location for your company, it is important to be able to get your product to market efficiently. With ready access to road, rail, air, and ship transportation, businesses located in Pasco County can easily reach a broad range of domestic and international markets, including Central and South America and the Caribbean. Tampa International Airport, located only 25 minutes from Pasco County, served over 18.8 million passengers in 2015 on an average of 222 daily flights via 17 carriers to 80 non-stop destinations throughout North America, Central America, the Caribbean, and Europe. The airport also ships approximately 178 million pounds of cargo per year and 10.5 million pounds of mail. 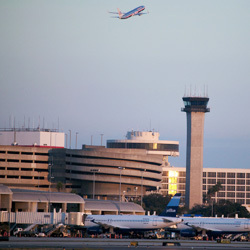 Tampa International Airport (TIA) is renowned for its excellent facilities and relentless focus on customer service. Tampa International Airport was named as the #3 favorite airport in the United States in Condé Nast Traveler's 2016 Readers' Choice Awards and second favorite large airport in TripAdvisor's 2016 Travelers’ Choice Favorites Awards. 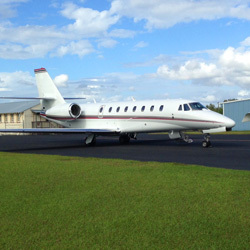 St.Pete-Clearwater International Airport (PIE), a full service airport located 35 minutes from Pasco County. In 2015, the airport served 1.65 million passengers heading to 56 non‐stop destinations and handled over 24 million tons of cargo, military, and general aviation operations. St. Pete-Clearwater International can accommodate virtually any size aircraft, from jumbo jets to charter planes to private aircraft. 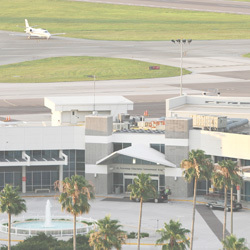 An FAA-operated Air Traffic Control and an Automated Flight Service Station are located on site. Zephyrhills Municipal Airport, owned and operated by the City of Zephyrhills, has two runways over 5,000 feet and an adjacent industrial park for those businesses looking to lease land and construct their own building at an airport site. The terminal is open daily from 8:00 to 6:00 p.m. with a 24-hour self-service fuel facility. Formerly known as Hernando County Airport, Brooksville-Tampa Bay Regional Airport is a public-use aviation facility covering 2,400-acres only 15 minutes from Pasco County. The airport does not yet serve the public through commercial airlines, but it does have two active runways, including a 7,000-foot Instrument Landing System (ILS) runway that can accommodate large corporate and narrow-body commercial aircraft. Tampa Bay provides the closest full-service deep-water ports to the Panama Canal with complete stevedoring, bunkering and ship repair facilities. More than 50 private terminals serve the two ports, along with more than two-dozen stevedores. Both non-union and International Longshoreman's Association labor provide services in the area. The Port of Tampa, located only 25 minutes from Pasco County, is Florida’s largest and most diverse seaport handling 37.5 million tons of cargo—nearly one-third of all cargo moving in and out of the State of Florida. Port Tampa Bay offers expertise in three areas of cargo activity: bulk cargo, containerized cargo, and other general cargo including project cargo, roll on/roll off and breakbulk. 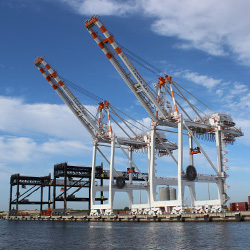 This deep-water port (up to 47 feet deep) features a container terminal with two container berths serviced by three (3) gantry cranes, two (2) Post Panamax Cranes, one (1) 100-ton Mobile Harbor Crane. Port Tampa Bay is bolstering its capabilities to ably serve multiple industry segments, capitalizing upon such strengths as its 5,000-acre footprint—the largest of any port in Florida. Port Tampa Bay cargo capabilities embrace virtually every imaginable commodity, including vehicles and oversized project cargos, from all corners of the world. Top trade partners include Brazil, Trinidad, Mexico, Honduras, Canada, India , Japan, Colombia, China, and Venezuela. In 2016, Port Tampa Bay was selected by Lloyd’s List, the maritime industry’s as the North American Port Operator of the Year. Port Manatee, located only 1 hour from Pasco County, is one of Florida’s largest and fastest growing deepwater seaports, moving approximately eight (8) million tons of cargo each year. Located in the eastern Gulf of Mexico at the entrance to Tampa Bay, Port Manatee is the closest U.S. deepwater seaport to the Panama Canal – providing shippers with speedy access to Pacific Rim markets. The Port and its partners move approximately 9 million tons of containerized, breakbulk, bulk and project cargo each year including fresh produce, forestry products, petroleum products, citrus juice products, fertilizer, steel, aluminum, automobiles, cement, aggregate and more. Port Manatee is Fresh Del Monte Produce’s second largest U. S. port facility and is also the Southeast’s leading forestry products importer. CSX Corporation, together with its subsidiaries based in Jacksonville, Fla., is one of the nation's leading transportation suppliers. The company’s rail and intermodal businesses provide rail-based transportation services including traditional rail service and the transport of intermodal containers and trailers. 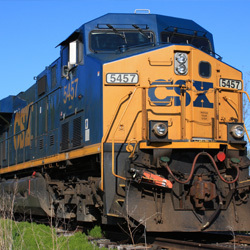 CSX operates three rail lines within Pasco County. The cities of Zephyrhills and Dade City are served with a line from Plant City. CSX serves 12 ports in Florida, including Port Tampa Bay and Port Manatee as well as the Everglades, Fernandina Beach, Fort Myers, Jacksonville, Miami, Palm Beach, Fort Pierce, Panama City, Pensacola, Port St. Joe. By accessing the many highways and interstates that criss-cross Pasco County, businesses locating here can easily travel and transport goods, not only throughout Florida and the southeast United States, but across the nation. Interstate 75, a major north-south artery leading from Miami through Atlanta and the Midwest up to the Canadian border, is easily accessible via the county’s main east-west corridors: State Road 52, State Road 54, and State Road 56. Interstate 75 also provides a link to the Gulf Coast and American Southwest where it meets with Interstate 10 in Florida’s panhandle. Connect with the Orlando metro area via Interstate 4 and continue to Daytona Beach and up the United States Atlantic Coast where it connects with I-95 to reach the entire US Atlantic coast. View our proximity maps for a more comprehensive look at how Pasco County’s location can connect you with your customers via interstate and highway transportation.